Healthcare Fraud Conspiricies Defense Lawyers - Oberheiden, P.C. Being under investigation for healthcare fraud is a serious life intrusion. 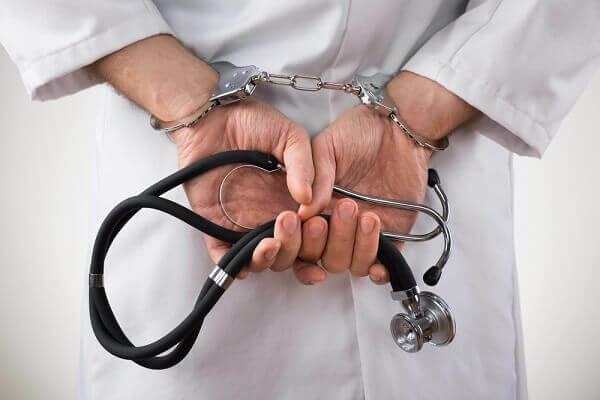 Targets of healthcare fraud and healthcare fraud conspiracy investigations are well advised to immediately consult with experienced healthcare fraud defense attorneys to build an effective defense plan. This brief article provides an overview of strategies, tactics, and defenses that have allowed our attorneys to conclude federal healthcare conspiracy investigations without criminal charges for our clients. What Is a Healthcare Conspiracy? A conspiracy is defined as two or more persons that agreed to try to accomplish a common and unlawful plan with the knowledge of the unlawfulness of the agreement and the intent to further the unlawful purpose. It is not required that all defendants in a conspiracy knew each other or even interacted with each other. Quite often, defendants charged in a conspiracy first hear of the allegation that they conspired with other co-defendants the moment the government indicts the case and all defendants are listed. This lumping together of defendants is made possible by the legal concept that all defendants knowingly joined an unlawful scheme to defraud the government. Whether an individual defendant played a minor or a major part in the conspiracy or with whom of the co-defendants a defendant ultimately conspired is irrelevant for purposes of charging a healthcare conspiracy, but highly relevant for defense strategies. What can be done to get out of a conspiracy charge? When looking at methods to get clients out of conspiracy charges or to downplay the role of a particular client within a conspiracy, experienced attorneys will carefully analyze the interactions and alleged relationships between the co-defendants and thereby weigh the possible individual responsibilities. Acknowledging any responsibility assumes that a client had the requisite mens rea, i.e. criminal intent to further an illegal goal. The argument that a client did not have this intent is all the more persuasive when the government lacks documents (e.g. bad checks, illegally entered marketing agreement etc.) to maintain its assertion that the defendant engaged in illegal conduct. Yet another way to approach conspiracy cases is to acknowledge participation in the conspiracy, but to introduce mitigating factors such as low financial gain, hardship, brief period of involvement, factual misunderstandings and the like. While factual defenses vary and heavily depend on the circumstances of the case and are therefore almost open-ended, recognized legal defenses to conspiracies are limited as a matter of law. With nuances among courts across the country, the following three legal defenses are generally permitted to be introduced by counsel as affirmative defenses. Withdrawal. A co-conspirator may withdraw from the conspiracy at any time by informing all other members of the conspiracy about the decision to withdraw and to abandon the conspiracy. Such notice provides legal immunity for future crimes committed by the conspirators. Nonetheless, a withdrawal does not undo already committed crimes. Courts require that the withdrawing defendant makes it clear to everyone that he is no longer part of the scheme and takes steps to effectively communicate his abandonment to his co-conspirators S. v. U.S. Gypsum Co., 438 U.S. 422, 464-465 (1978). Renunciation. The affirmative defense of renunciation, recognized by many but not all courts, requires that the defendant actually stopped and completely and voluntarily hindered the execution of the conspiracy’s objectives. The decision to hinder must be genuine and voluntary and cannot be motivated by fear of getting caught. Impossibility. A rarely available legal defense to a conspiracy is impossibility. In conceivable constellations, a defendant cannot be convicted of conspiracy if the parties agreed to commit an act that they believe is a crime, when in fact it is not a prohibited act. The rationale behind this is that if something is not prohibited, agreeing to commit a non-prohibited act should not be construed as breaking the law despite ill-will motivation. Oberheiden, P.C. centers its practice on representing healthcare executives, board members, entrepreneurs, physicians, and entities in the healthcare sector against government investigations. We have appeared in healthcare matters spanning the entire United States, centering on the West Coast, Florida, New York, and Texas. Nick Oberheiden has achieved no civil and no criminal liability results for physicians and healthcare executives in proceedings before the Office of Inspector General (OIG), the Department of Health and Human Services (HHS), the Department of Justice (DOJ), and the Department of Labor (DOL) and has defended Stark Law, False Claims Act, and Anti-Kickback cases across the country. Our team of former federal prosecutors, senior government officials, and nationally respected lawyers has accomplished a great number of dismissals and no-charge outcomes for physicians and healthcare owners across the country. Here are some recent examples.